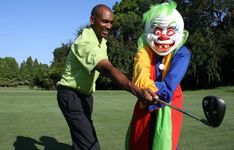 Ghoulf Clinics are part of Innisbrooks Halloween events. INNISBROOK, FL (September 21, 2010) – What can you do at a noted golf resort this Halloween? 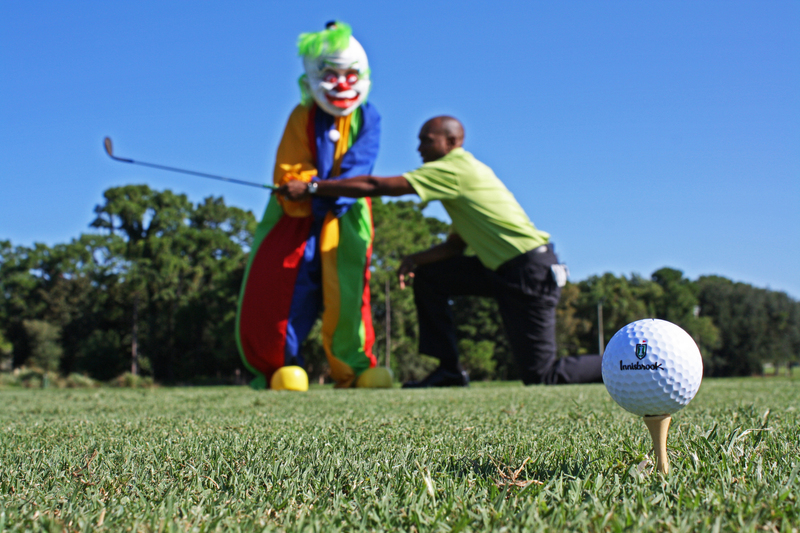 Well, at Innisbrook, you can take a Ghoulf lesson, of course! Innisbrook, a Salamander Golf & Spa Resort, in Florida’s Tampa Bay/St. Petersburg area, is offering a tongue-in-cheek Ghoulf Clinic on both Friday, October 29 and Saturday, October 30. The clinics run both nights from 6-7 p.m. and are part of the resort’s 2nd Annual Haunted Hallow Trail at its Loch Ness Monster Pool. Golfers of all ages and abilities attending the Trail are welcome, and costumes are encouraged. The Haunted Hallow is open from 6-9 p.m. The Trail, filled with 11 scenes inhabited by creepy creatures and sounds as well as haunted waterslides, opens at dark around 7 p.m. The event also features dive-in scary movies and cartoons, photos with werewolves, a costume contest and more. Family of four tickets cost $40 and can be purchased in advance by calling 727-942-2000. Day-of-event admission costs $15 for adults and $10 for children under 10. Children under four will be admitted free of charge. Each ticket includes one hamburger or hot dog, one soft drink, chips and one trick-or-treat candy bag for children. Halloween weekend room rates at one of Innisbrook’s 600 suites begin at $119 per night. To make a room reservation, call 800-492-6899 or visit www.innisbrookgolfresort.com. Innisbrook’s Haunted Hollow Trail is created in conjunction with Lolain Dobbs of KLA Productions.